Providing you the best range of dismantling and erection of batching plants with effective & timely delivery. Being the reckoned name in the industry, we offer world-class array of Dismantling and Erection of Batching Plants that are delivered in varied dimensions and ensures wide usage. Our entire range is sturdy in designs and is easy to use. 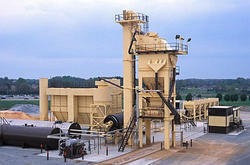 Dismantling and Erection of Batching Plants are widely used concrete batching plant/portable mixing plant germany. Moreover, our entire range is delivered in varied thickness and comes within budgetary limits.